Today, (1/1/07,) I was emailed a press release of a new themepark to open up in southern California near LA. It was said to be named Marine World and host many sea life creatures and Thrilling attractions. Maybe Sea World has met its match! Looks like this will be the entrance. I have no clue what this is. Maybe it will become a structure of some sort! Due to school work and stuff updates will be very spread out. I hope you enjoy this as I think this will become the best project I have ever done. Thanks to gci2011 in advance for giving me tips on my buildings. Last edited by tiger01 on Sat Jan 07, 2012 11:06 am. I quit my job at the helium factory last week...I refused to be spoken to in that tone! Location: America's Rockin' Roller Coast! Great start! Glad you're getting into CS more, it looks good. Can't wait to see more! A new cafe has been built and will serve Costa Coffee and a selection of cakes. The construction is coming along really nicely! Oh, and spot Domo! The nice new building of the cafe. I can't wait to eat in here! It has a great feel to it! Theres an outdoor section too! gci2011 wrote: Great start! Glad you're getting into CS more, it looks good. Can't wait to see more! This is a very nice start! And you've improved so fast as well, but it is not because of your transition into custom sets. Fry: Uh, is there a human doctor around? Dr. Zoidberg: Young lady, I am an expert on humans. Now pick a mouth, open it and say "brglgrglgrrr"! More updates have been emailed to me and I hope I can get an insight on this construction myself very soon! This apparently will be guest services where you can ask for information about the park or reclaim your lost child. Some other buildings have been built but are not fully completed. I still have no clue what this is. Maybe we will never find out until the park opens to the public. djbrcace1234 wrote: This is a very nice start! And you've improved so fast as well, but it is not because of your transition into custom sets. Yes, this is a big leap from my previous projects. Thank you very much! Well it's my birthday today and so I am going to post a special update! Today I had some more pictures sent to me by my friend. It seems as though the Main street has had a clash of the titans! It looks like they have built a great colloseum. This looks amazing. It looks just like a real colloseum! The stage still needs some finishing touches though. And its completely open aired! Can't wit to see some great shows in this building! Feedback would be appreciated! 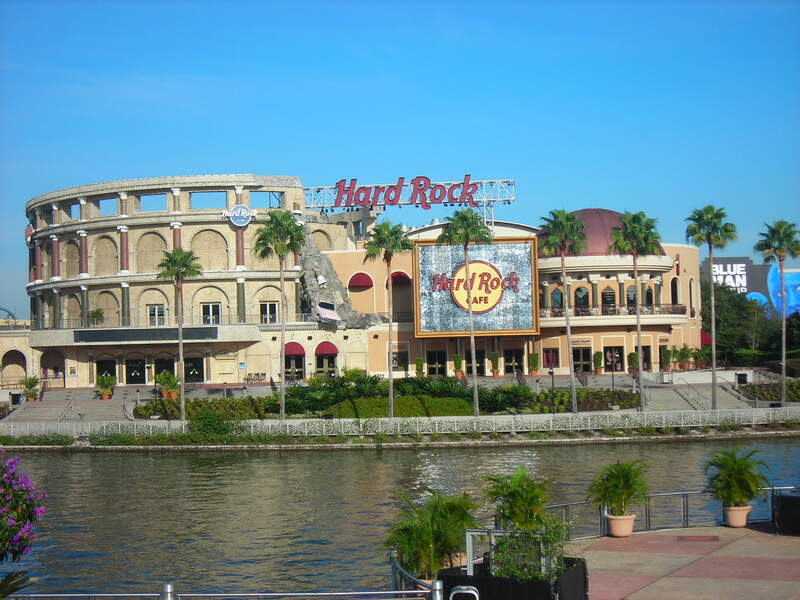 (This building was inspired by the Hard Rock Cafe in Orlando which I went to once. ) NOTE: Has anyone spotted Domo yet??? Not bad! The Coliseum is a tad too brown, if that makes any sense. Maybe try another color? Yeah for the Colisseum you definitely need white. May I suggest Ralvieh's Antique set? It's perfect for a colisseum feel. Any of Ralvieh's sets will help you here. Not many people know of his sets, but they are wonderful. Ace Of Spades wrote: Not bad! The Coliseum is a tad too brown, if that makes any sense. Maybe try another color? Thanks! I will try out different colours. Remember that it's still be constructed! grrt wrote: Yeah for the Colisseum you definitely need white. May I suggest Ralvieh's Antique set? It's perfect for a colisseum feel. Any of Ralvieh's sets will help you here. Not many people know of his sets, but they are wonderful. Just downloaded them. They look really good! I re-built the colloseum to a better looking structure. Hope you like it! Two new Night Shots have been emailed to me today. And Good News! I'm moving to Los Angeles so I'll be able to see this construction myself! My Friend works for the palce and so I don't think they'll mind if I come in and snap some shots to update you guys! 6 Days! The colloseum looks great at night! It really makes the Main Street look 'unique'!